Professionals are being urged to let their clients know about a campaign to make the streets more accessible for all. 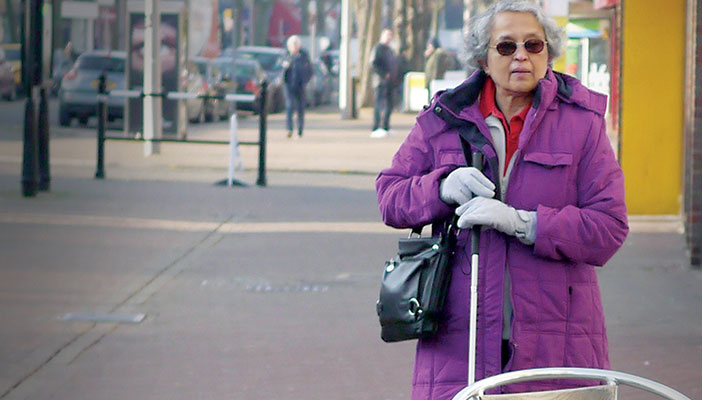 RNIB will be spearheading a fortnight of action from 6 – 19 July in a big to clear the street from obstacles for blind and partially sighted people. An RNIB survey of 500 discovered the obstacles that caused the most problems. shared spaces where vehicles and pedestrians share a flat space without a curb to mark the roads. Read more about the campaign and what you can do help your clients and patients keep the streets obstacle free.